and I want to remove the ">" and change the ":" to a "_". I tried to just say mv \\>ch\:* ch_* but that didn't work. First, I should say that the easiest way to do this is to use the prename or rename commands. That's a lot more understandable than the equivalent sed command. But as for understanding the sed command, the sed manpage is helpful. If you run man sed and search for & (using the / command to search), you'll find it's a special character in s/foo/bar/ replacements. Therefore, \(.\) matches the first character, which can be referenced by \1. Then . matches the next character, which is always 0. Then \(. *\) matches the rest of the filename, which can be referenced by \2. The replacement string puts it all together using & (the original filename) and \1\2 which is every part of the filename except the 2nd character, which was a 0. Being able to see what's actually changing in the s/search/replacement/ makes it much more readable. Also it won't keep sucking characters out of your filename if you accidentally run it twice or something. For command line script to rename, this stackoverflow question has good answers. 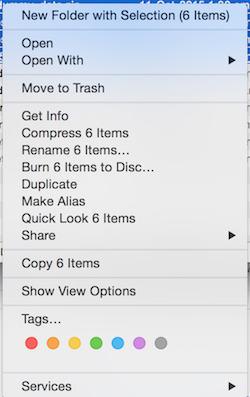 For Mac, In GUI, Finder comes with bulk rename capabilities. If source list of files has some pattern to find & replace, it comes very handy. Not the answer you're looking for? Browse other questions tagged regex macos file or ask your own question.